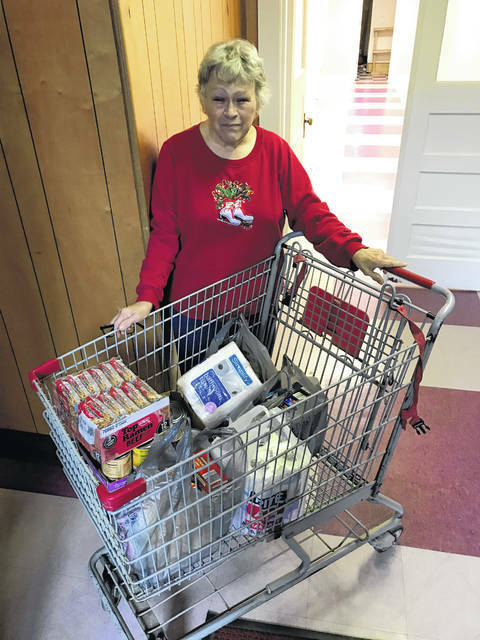 Food donations were made recently to the Cross Light of Hope Food Bank in Ashton, by the Mason County Democratic Women’s Organization and the Mason County Executive Committee, which collected food and other items for several area pantries during their recent Christmas party. Presenting Teresa Wilson, right, director of the food bank with the contribution is Jason Jeffers, left, representing the organizations. 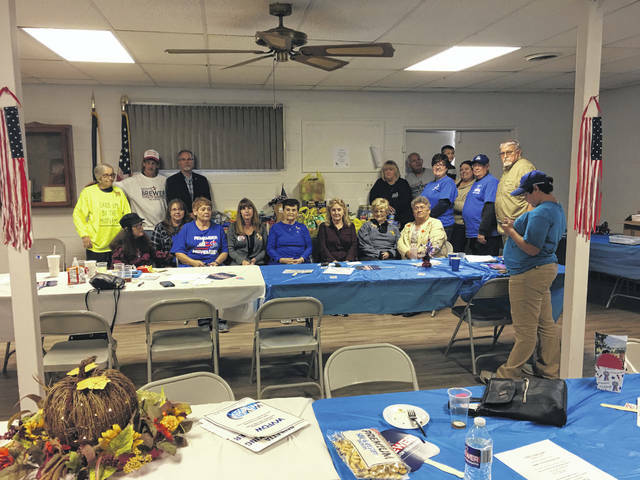 Members of the Mason County Democratic Women’s Organization, the Mason County Democratic Executive Committee, their families, and their friends contributed food, perishables, and household items to the Leon Food Pantry following a candidate Meet and Greet held in Leon in October. Lisa Crump, member of the Mason County Democratic Women, presents a donation to the Bend Area Food Bank, which is ran by Vicky Nazarewycz. 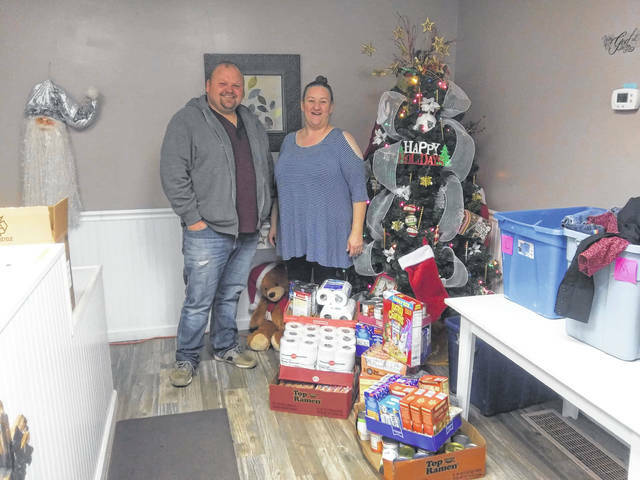 Food and other items were collected at the annual Mason County Democratic Women’s Organization Christmas party, sponsored by the Mason County Democratic Women’s Organization and the Mason County Democratic Executive Committee. 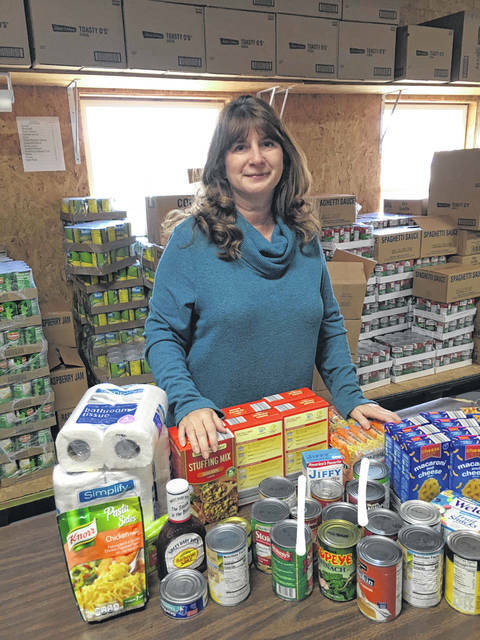 Pam Heib, co-moderator of the service committee at the Presbyterian Church on Main Street in Point Pleasant and the church secretary, accepted a contribution of food and other supplies from the Mason County Democratic Women and the Mason County Democratic Executive Committee recently. Food items were donated by members and others during the annual Mason County Democratic Women’s Organization Christmas party.